Hey folks, it’s been awhile since I wrote a post, but I’m back. I’ve been hard at work getting things going to sell this delicious jams. I’m currently looking around for commercial kitchen space to rent. But, once I’m done with that and I get my food processor’s license, I should be in pretty good shape to start selling things. 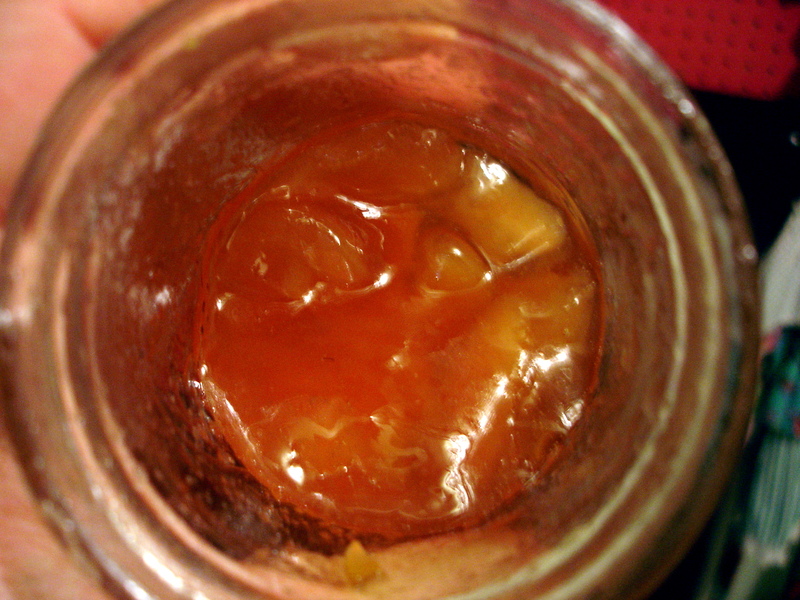 But, in the midst of doing all this I have found time to make one jam that I really liked: Seckel Pears with Honey and Ginger. 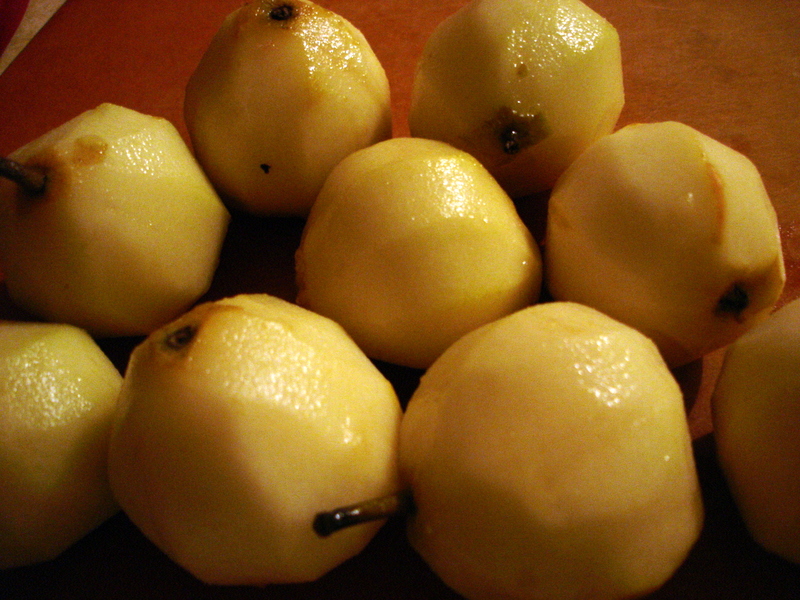 I’ve always loved Seckels the best of all the pears because of their size, texture and flavor. They’re tiny, so they’re adorable. They’re more firm than Bartletts, but less so than Boscs. 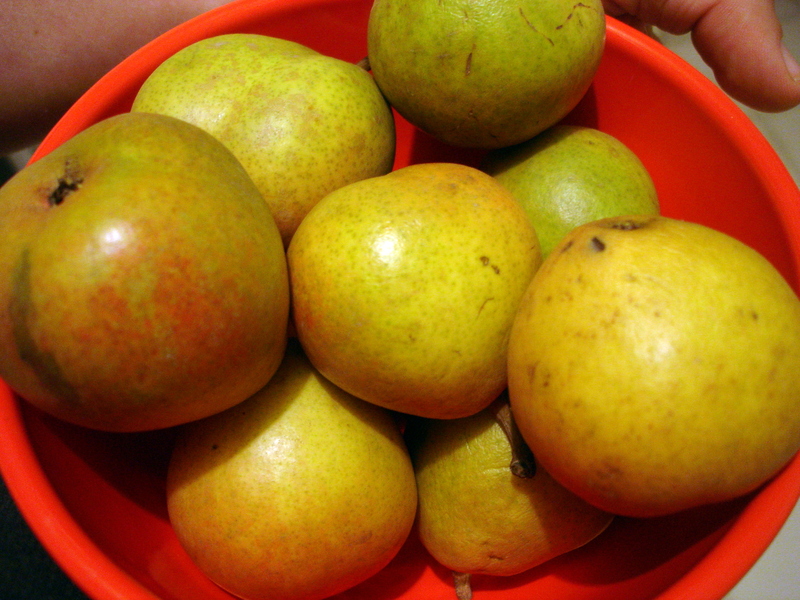 And, they have a strong pear flavor which carries some spice notes along for good measure. So, I thought this recipe would be really good, with the honey and the ginger playing off of the Seckels’ spice overtones. The method for this recipe is really quite simple. Peel the pears (this is really annoying, just as a heads up). Then, you cut ’em up, mix ’em with sugar, honey and grated fresh ginger, bring them to a simmer and put them in the fridge over night in a ceramic bowl with a parchment lid. The next day, you bring them mix to a simmer and add apple jelly for pectin content. Also, I wanted to thank another blogger at Straight from the Farm who put up a really nice post about my Ground Cherry Chamomile Jam and I wanted to congratulate another reader, Kathryn, who adapted the recipe to win second place in her local CSA recipe contest. Go team david matthew readers!